Tiny Love has so much for a mom and baby to love. I know that Evan and I have enjoyed many Tiny Love products. I recently received the Pack & Go Mini Mobile and My Nature Pal Stroll. My Nature Pal Stroll is perfect for many different stages of development from birth to 12 months. It offers babies the ability to use their senses to explore and to bat at objects as well as some cause & effect learning. The arch easily flexes to fit different size seats. It angles towards the baby or backwards, as well as up and down. It can be set to baby's individual reach. 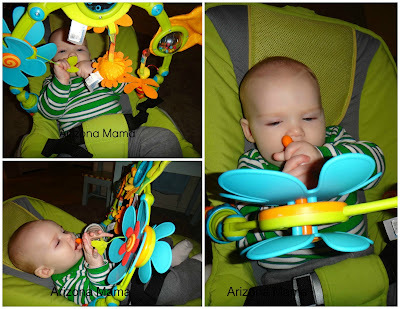 There are 6 different baby activated toys for fun at home or on the go. 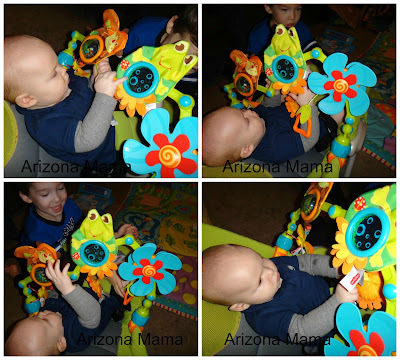 There is a fun crinkle frog, flower mirror, baby activated propeller, and an easy to grab teether handle. It easily attaches with universal clips. I knew exactly where I wanted to use the My Nature Pal Stroll. Evan has a bounce seat at home that does not have any attached toys. I wanted something that would attach for him to play with. I really liked how easy it was to attach with the clips. Evan was so excited to play with it he didn't know where to start. He began banging it and grabbing what he could. He immediately began to grab the crinkle frog and bat at the ball in the beavers belly. He loves to chew on the teether handle of the propeller. He has been able to pull the propeller a couple of times on his own. Jayden loves to help him with that and pulls it for him. It adjusts so easy and Evan can even pull it closer to him and it bends in his direction. It unlatches easily and can be attached to a stroller or car seat also. The Pack & Go Mini Mobile is a great travel toy. This toy stimulates baby's senses and curiosity with sounds and colors. It features a bell shaped wind chime that even sounds like a wind chime. The patterns and bright, colorful design attract baby's attention. 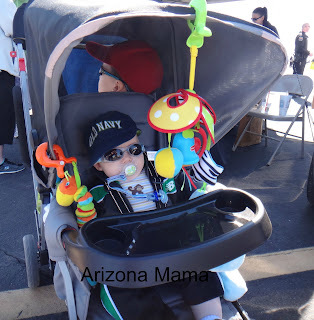 It attaches easily to a stroller or other gear on the go with a claw like clip. It can be folded up to fit in the palm of your hand, making it easy to store for on the go. I attached the Pack & Go Mini Mobile to our stroller for Evan to use. Evan was immediately excited and interested in it. He right away began batting at it and grabbing it. He smiled when he heard the chime. It makes for the perfect entertainment while we are out and about. We went to the Buckeye Air Fair and I think Evan liked looking at the Pack & Go Mini Mobile more then the airplanes and emergency vehicles. 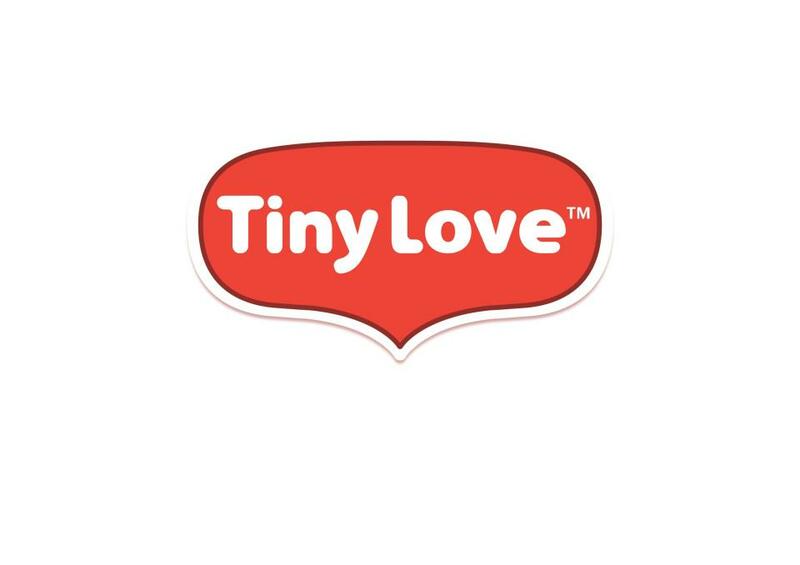 Tiny Love makes products that are not only fun, but innovative and educational. Their products cater to a baby's development. You can also see my reviews of the Tiny Love 3 in 1 Rocker Napper, My Nature Pal Gymini, Follow Me Fred, Super Mat, and more. Win it: One (1) Arizona Mama reader will win a their choice of either the My Nature Pal Stroll OR the Pack & Go Mini Mobile. 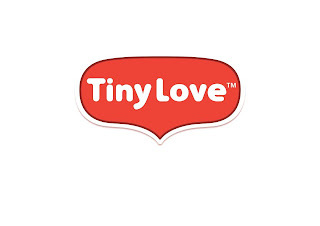 Thank you to Tiny Love for sponsoring this post and giveaway. I like the 3-in-1 Rocker Napper in red! Would love to win for my 3 month old daughter, Coraline. She doesn't have many toys yet. I love the Follow Me Fred! They have such cute colorful toys! I love the 3 in 1 rocker. All of my friends are always having new babies! This would make a great gift for one of them. I want to win this for our little one. We are ttc #3, but we got rid of all of our baby stuff because we thought we were done -oops! This would be for my son & his fiance. I would love to select the My Nature Pals Stroll. I would give this to my niece and I would choose My Nature Pal Stroller. I also love the Tiny Princess™ Soothe 'n Groove Mobile! My daughter isn't really a fan on sitting in the stroller, so i'd love the My Pal Nature Stroll for her to play with when we are shopping and for her carseat too! I love the 3-in-1 Rocker Napper. I like the Tiny Princess™ Double-Sided First Book. Thanks. I'd choose the My Nature Pals Stroll. It'd make a wonderful gift for my nephew's wife who is due to have a baby. Thanks. the Tiny Princess™ Soothe 'n Groove Mobile is adorable! I really love the Gymini in the princess, so cute! I learned that they have a lot of really cute gear and accessories! I would choose the pack and go mini mobile and I'd love to win this for my baby girl coming in August! I love the 3-n-1 Rocker Napper!